An interview with Athelia Nihtscada. She discusses: past druid and pagan schism management based in personality conflicts, or ideological and philosophical disagreements; present schism management; druidism and paganism foundation in Celtic traditions, persistent ethics in the present framework in addition to the relevant transformations, and ethics and morality in druidism; important initiations and rituals in their way of life; systematized philosophies and ideal types which embody the ethics and moral values and thoughts on the ideal druid, or druids; the most probable near and far future trajectory for druidism; and further information for those with an interest in Nihtscada and associated organizations, and advice to them. Keywords: Athelia Nihtscada, Celtic, druid, ethics, ideological, Kondatriev, morality, pagan, philosophical, rituals. 16. How did the druid and pagan groups manage schisms in the past based in personality conflicts, or ideological and philosophical disagreements? The one thing I find interesting about the main modern Druid organizations around the world is that they all started as a protest or quiet rebellion. The Reformed Druids of North America started out as a group of students who protested the university’s mandatory Sunday Service attendance rule. Rather than go to church, these young people decided to develop their own little “religion” and hold their own services. It was all meant as a joke at first, but it grew. Eventually, the university dropped the requirement, yet the RDNA has lived on for over 40 years! A young fellow by the name of Isaac Bonewits, joined RDNA, but ended up starting his own group, Ar’ nDraoicht Fein (ADF), because he wanted an all-Pagan Druid group that would become a religion. These Druids could pick an Indo-European hearth culture, study it and develop their practise from there. A few years later, a group of disgruntled ADF members would tape a list of “theses” on Bonewits’ van because they wanted their Druidism to be strictly Celtic. Thus, the Henge of Keltria was born. It was no different across the pond in the United Kingdom. In the early 60s, it came time to elect a new Arch Druid for the Ancient Druid Order (one of the Revivalist orders that is still in operation today). A Cambridge academic by the name of Phillip Peter Ross Nichols was approached for the position, but he wanted to see more focus on Celtic mythology and celebrating the 8 seasonal festivals. (Fun fact: Gerald Gardner, the founder of Gardnerian Wicca was also a member of ADO. Mr. Nichols was a good friend of Mr. Gardner and influenced the development of what we know as Gardnerian Wicca today.) Ross Nichols founded the well-known Order of Bards Ovates and Druids (OBOD) in 1964. A few members of OBOD would eventually start their own group, the British Druid Oder. From there, the Druid Network came into existence. This, of course, is my very simplistic explanation of the development of modern Druid organizations. Ronald Hutton delves into this subject in far greater detail in his book “Druids: A History” (Hambledon Continuum, UK, 2007). 17. How about the present? The best example I can give is of one of our members. Ten years ago, this member was very shy and slightly adverse to performing rituals with a group; preferring solitary ritual. Over time, the member began to show a large amount of aptitude for leadership and found that the Grove was not providing her with what she needed. The member started a Grove with one of the larger Druid orders in response. This easily could have ended up as a schism with hurt feelings all around, but I considered our standards of conduct and looked at the situation for what it actually was: a member had developed excellent leadership skills, a desire to start a separate Grove, and was ready to “leave the nest” as it were. Instead of a schism, I recognized the member by awarding a Third Order and publicly recognizing the person as a peer. The member had been worried about losing friendship or starting some sort of conflict, but was relieved when I said it was simply a matter of growth and change. Our two Groves operate on their own and both of us are happy with the outcome. We are still friends as well. I know there have been schisms in other groups, but I do not have the details and cannot speak to whether they were positive or negative. 18. The historical perspective into the nature of druidism and paganism provides the basis for connection with the Celtic traditions., As noted by the website excerpt of Laurie (2010) from Meyer (1906), the ethics persist into the current framework with relevant transformations for incorporation into the modern delineation of the druid traditions., How much do ethics and morality come into the theory of druidism? Ethics provide the moral framework on which all good societies are built. Without them, there would be no trust, no integrity, no communication, no decency and no respect. Knowing the ethical framework of our history allows us to incorporate an ethical base for modern practise. In Awen Grove, ethics and morality are quite important and are the cornerstones of the Grove. Looking at many online message boards and organizational websites, ethics and morals are subjects of much debate and importance. I would say ethics come into the theory of Druidism quite a lot. 19. Furthermore, what personal observations exemplify this through actions and practices by druids in everyday, mundane life to the most important initiations and rituals of this way of life? I believe that maintaining integrity and taking responsibility for one’s own actions are ways that modern Druids can exemplify ethics and morality. Through consideration of others, as well as the ability to remain steadfast in one’s own ethics, a Druid will find that everything from the mundane to the esoteric will reflect that. 20. Systematized philosophies in the world tend towards formalization of an ideal type, and the ethics and moral values in which this ideal comes to embody, which seems to mirror some of the particular values in the druid and pagan traditions, as noted by Kondatriev. What remains the ideal druid, or remain the ideal druids? I have always enjoyed “Celtic Values” by Alexei Kondratiev and have used the article as an example of virtue ethics. Recently, I came up with my own set of virtues, gleaned from the Audacht Morainn, which could be seen as ideas for modern Druids. Rectitude – Maintaining a standard of moral integrity. I believe in maintaining a high standard of morality. This has always been a touchy subject among many Neo-Pagans who may feel that agreeing on morals and ethics will dogmatize them and violate all that Pagans hold dear in the way of personal freedom. Morals are morals and are not the exclusive domain of one religion or another. Good moral standards uphold good moral people, no matter what their faith path happens to be. Truth – Morann states that a ruler must “exalt truth” and that it is the “Truth of the Ruler” that will achieve great things. I believe this can apply to all people since truth is not exclusively the domain of leaders. We all seek it, most people value truthfulness in other people and the truth is often inescapable in the end. Mercy/Compassion – Morann states that a ruler who exalts mercy will find that mercy exalts him. One of my heroes, the Dalai Lama, says that one way to be happy is to practice compassion. If one is feeling down, practice compassion. Caring for the world around us not only benefits everyone else, but it benefits ourselves as well. Wisdom from Experience – Morann instructs the younger ruler to watch the older charioteer. Watch how the man’s experience causes him to see things that a newer driver would miss. A lot of wisdom is gained by sampling experiencing something. Our best lessons are often learned through experience. Justice/Fair Judgment – In my opinion, a Druid not only has to uphold justice, but practice fair and honest judging. I also see this when it comes to accusations. Will someone provide all information and research facts before jumping to conclusions or spreading rumours? Commitment to Oaths – Keeping any commitment or promise would fall under this one in my opinion. Whether one makes an official oath or a promise to someone, it is beneficial for the person to keep that oath or promise. He or she will be seen as a reliable and true person. Hospitality – One of the cornerstones to a good society, hospitality was vitally important to the Celts. It is also a value that many modern Druids hold sacred. Steadfastness – The ability to be true to one’s beliefs, standards and commitments is another cornerstone to good society in my opinion. Impartiality – I find the best way to be is to be objective in all situations. When being impartial, it is easier for me to see things from more than one just one emotionally-driven angle. This helps me to make a clear judgment about something. Generosity – No one likes a miser, but being a spendthrift is also not good. Generosity, like hospitality, shows that a person is willing to share his good fortune with others. Generosity in the true sense also shows that a person is capable of living within one’s means. Eloquence in speech – As a Toastmaster, I know the value of eloquence and excellent communication skills. A species that is based on verbal and non verbal communication as human kind is, a good communicator is a respected person, no matter what the culture. Excellent communication skills will take a person far in life if he is virtuous. Competence – Best for him who knows what he is doing! If one is going to undertake any task, one must be competent or trained. 21. With respect to the trajectory of druidism into the near and far future, what seems like the most probable future for the world’s druids? By using the wisdom of the past and remaining in the moment, the Druid of the future will certainly be there to serve in whatever capacity is needed at the time. Just as the Druids of the past and present have been. 22. For this with further interest in Nihtscada and associated organizations (at one time or another), please see the footnotes to this sentence.,,,,,, If you could talk to someone with an interest in the druid path, as if yourself from 1991, what advice comes to mind for them? Before anything else, know who you are and what your personal beliefs and ethics are; your Core Values. Take some time to sit down, contemplate and write down what your values are. If you’re stuck, think about certain situations. Where do you stand on topics in life, such as the environment, hunting, abuse, politics or religion? What are your strengths and weaknesses? What do you admire or dislike in other people, faith paths, or political circles? What attracts you to them or pushes you away? Ár nDraíocht Féin: A Druid Fellowship. (2015). Send an Email: Contact Us. Retrieved from https://www.adf.org/contact.html. Hautin-Mayer, M. (n.d.). When is a Celt not a Celt: An Irreverent peek into Neopagan views of history. Retrieved from http://www.cyberwitch.com/wychwood/Library/whenIsACeltNotACelt.htm. (2015). IMBAS. Retrieved from http://www.imbas.org/imbas/. Kondratiev, A. (1997). Basic Deity Types. Retrieved from http://www.draeconin.com/database/deitytypes.htm. Kondatriev, A. (n.d.). Celtic Values. Retrieved from http://www.imbas.org/articles/celtic_values.html. Laurie, E.R. (1995). Following A Celtic Path. Retrieved from http://www.imbas.org/articles/following_a_celtic_path.html. Laurie, E.R. (1998). The Cauldron of Poesy. Retrieved from http://www.seanet.com/~inisglas/cop1.html. Laurie, E.R. (2010). The Truth Against the World: Ethics and Model Celtic Paganism. Retrieved from http://www.seanet.com/~inisglas/ethics.html. MacAnTsaoir, I., & O’Laoghaire, D. (1999). Why Wicca Is Not Celtic v.3.0. Retrieved from http://home.comcast.net/~uberrod/text4.html. Nihtscada, A. (2011, July 28). A Bit About Existentialism. Retrieved from https://athelia143.wordpress.com/2011/07/28/a-bit-about-existentialism/. Nihtscada, A. (n.d.). About. Retrieved from https://athelia143.wordpress.com/about/. Nihtscada, A. (2013, September 2). Catching Up. Retrieved from https://athelia143.wordpress.com/2013/09/02/catching-up/. Nihtscada, A. (2012, July 26). Druid Writer – Athelia Nihtscada Voices on the Path. Retrieved from http://paganbookshelf.blogspot.ca/2012/07/druid-writer-athelia-nihtscada-voices.html. Nihtscada, A. (2011, July 28). Hello World!. Retrieved from https://athelia143.wordpress.com/2011/07/28/hello-world/. Nihtscada, A. (2010, July 1). I am a Druid. Retrieved from http://www.experienceproject.com/stories/Am-A-Druid/1091403. Nihtscada, A. (2011, July 28). Individuation: The Quest for Self. Retrieved from https://athelia143.wordpress.com/2011/07/28/17/. Nihtscada, A. (2011, August 12). On Being a Druid Today. Retrieved from https://athelia143.wordpress.com/2011/08/12/on-being-a-druid-today/. Nihtscada, A. (2012, March 30). Season of Beltane. Retrieved from http://journeyslifesmysticaljourney.blogspot.ca/2012/03/season-of-beltane.html. Nihtscada, A. (2011, August 19). Some Thoughts About The Focus on Ritual. Retrieved from https://athelia143.wordpress.com/2011/08/19/some-thoughts-about-the-focus-on-ritual/. Nihtscada, A. (2014, November 22). The Druid Path. Retrieved from http://awencanada.com/Druidpath1.html. Nihtscada, A. (2014, November 22). The Druid Path; Frequently Asked Questions. Retrieved from http://awencanada.com/FAQ.html. Nihtscada, A. (n.d.). The Once and Future Druid. Retrieved from https://athelia143.wordpress.com/author/athelia143/. Nihtscada, A. (2007). The Once and Future Druid: A Continuum of Druid Belief and Practice from Ancient Times to Today. Retrieved from http://awencanada.com/Druidpath1.html. Nihtscada, A. (n.d.). The Path of Service. Retrieved from https://athelia143.wordpress.com/the-path-of-service/. Nihtscada, A. (2012, September 9). The Question of Community. Retrieved from https://athelia143.wordpress.com/2012/09/09/definitionhorizontal-v/. O’Dubhain, S. (1997). The Elements of the Dúile. Retrieved from http://www.imbas.org/articles/elements_duile.html. O’Dubhain, S., & O’Dubhain, D. (1997). Welcome to the Summerland. Retrieved from http://www.summerlands.com/. Order of Bards Ovates and Druids. (2015). Order of Bards Ovates and Druids. Retrieved from http://www.druidry.org/. Pittman, B. (2015, June 3). Managing work ethics and personal values. Retrieved from http://reportspecial.com/2015/06/03/managing-work-ethics-and-personal-values.html. Thales of Miletus. (2015). InEncyclopædia Britannica. Retrieved from http://www.britannica.com/biography/Thales-of-Miletus. (2015). @athelia143. Retrieved from https://twitter.com/athelia143. Founder and Arch Druid, Awen Grove; Member, Third Order of the Reformed Druids of North America; Member, Order of Bards Ovates and Druids; Member, The British Druid Order; Member, Henge of Keltria; Member and Past Regional Coordinator, Druid Network; Member and Past Regional Druid of Western Canada, Ár nDraíocht Féin: A Druid Fellowship (ADF). First publication on October 22, 2015 at www.in-sightjournal.com. Please see Meyer, K. (1906). The Triads of Ireland. Please see Kondatriev, A. (n.d.). Celtic Values. Retrieved from http://www.imbas.org/articles/celtic_values.html. Please see Awen Grove Canada. (2014, November 22). Contact Us. Retrieved from http://awencanada.com/Contact.html. Please see Ár nDraíocht Féin: A Druid Fellowship. (2015). Send an Email: Contact Us. Retrieved from https://www.adf.org/contact.html. Please see Henge of Keltria. (2015). Contact Us. Retrieved from http://www.keltria.org/contact.htm. Please see Order of Bards Ovates and Druids. (2015). Contact Us. Retrieved from http://www.druidry.org/contact-us. Please see The British Druid Order. (2015). Contact the BDO. Retrieved from http://www.druidry.co.uk/about-the-bdo/contacts/. American Medical Association (AMA): Nihtscada A. and Jacobsen S. An Interview with Athelia Nihtscada (Part Four). In-Sight: Independent Interview-Based Journal [Online]. October 2015; 9(A). Available from: https://in-sightjournal.com/2015/10/22/an-interview-with-athelia-nihtscada-part-four/. American Psychological Association (APA, 6th Edition, 2010): Nihtscada, A. & Jacobsen, S.D. (2015, October 22). An Interview with Athelia Nihtscada (Part Four). Retrieved from https://in-sightjournal.com/2015/10/22/an-interview-with-athelia-nihtscada-part-four/. Brazilian National Standards (ABNT): NIHTSCADA, A. & JACOBSEN, S. An Interview with Athelia Nihtscada (Part Four). In-Sight: Independent Interview-Based Journal. 9.A, October. 2015. <https://in-sightjournal.com/2015/10/22/an-interview-with-athelia-nihtscada-part-four/>. Chicago/Turabian, Author-Date (16th Edition): Nihtscada, Athelia & Jacobsen, Scott. 2015. “An Interview with Athelia Nihtscada (Part Four).” In-Sight: Independent Interview-Based Journal. 9.A. https://in-sightjournal.com/2015/10/22/an-interview-with-athelia-nihtscada-part-four/. 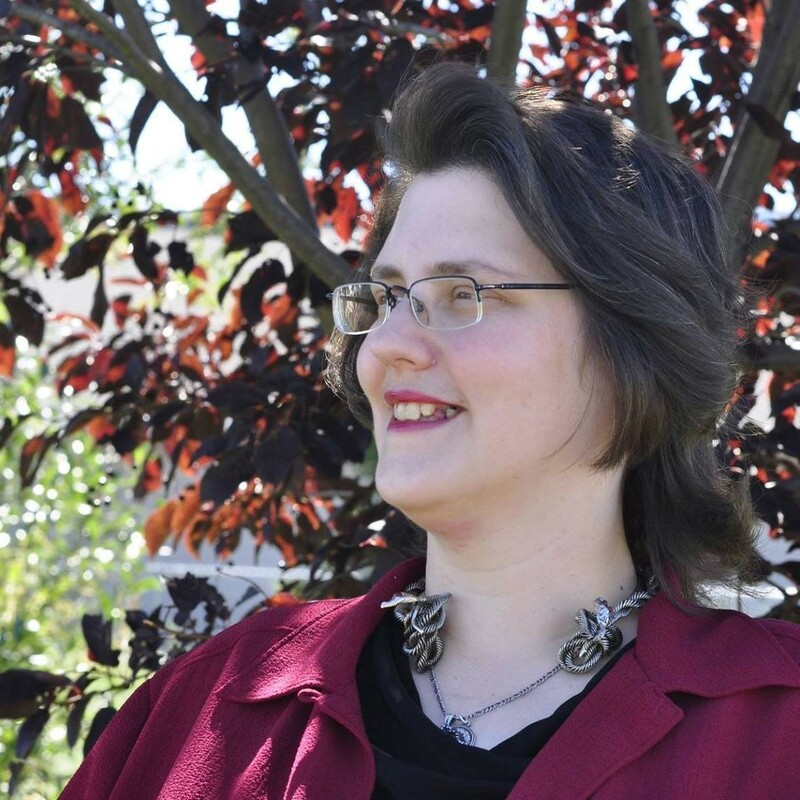 Chicago/Turabian, Humanities (16th Edition): Nihtscada, Athelia & Jacobsen, Scott “An Interview with Athelia Nihtscada (Part Four).” In-Sight: Independent Interview-Based Journal. 9.A (October 2015). https://in-sightjournal.com/2015/10/22/an-interview-with-athelia-nihtscada-part-four/. Harvard: Nihtscada, A. & Jacobsen, S. 2015, ‘An Interview with Athelia Nihtscada (Part Four)’, In-Sight: Independent Interview-Based Journal, vol. 9.A. Available from: <https://in-sightjournal.com/2015/10/22/an-interview-with-athelia-nihtscada-part-four/>. Harvard, Australian: Nihtscada, A. and Jacobsen, S. 2015, An Interview with Athelia Nihtscada (Part Four)’, In-Sight: Independent Interview-Based Journal, vol. 9.A., https://in-sightjournal.com/2015/10/22/an-interview-with-athelia-nihtscada-part-four/. Modern Language Association (MLA, 7th Edition, 2009): Nihtscada, Athelia, and Scott D. Jacobsen. “An Interview with Athelia Nihtscada (Part Four).” In-Sight: Independent Interview-Based Journal 9.A (2015):October. 2015. Web. <https://in-sightjournal.com/2015/10/22/an-interview-with-athelia-nihtscada-part-four/>. Vancouver/ICMJE: Nihtscada A. and Jacobsen S. An Interview with Athelia Nihtscada (Part Four) [Internet]. (2015, October); 9(A). Available from: https://in-sightjournal.com/2015/10/22/an-interview-with-athelia-nihtscada-part-four/.